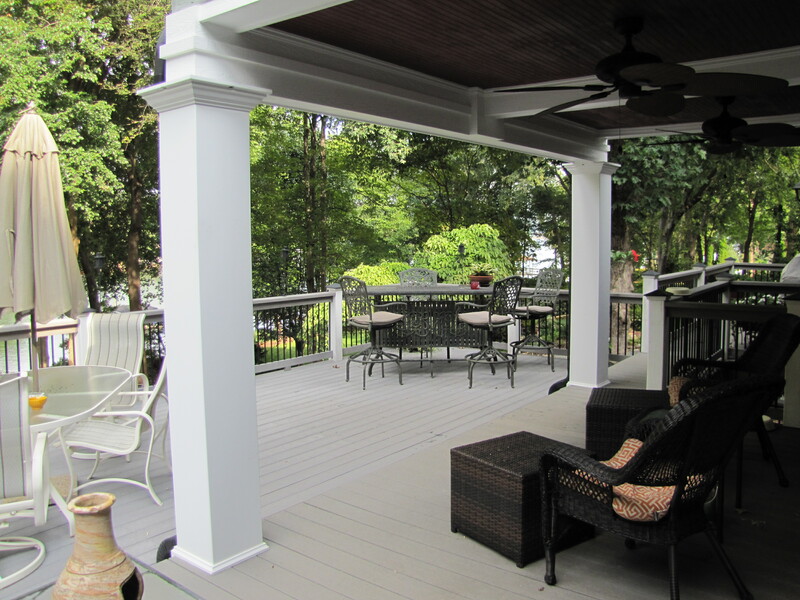 Renovated covered porch and deck by Henderson Building Group in Cornelius, NC features composite decking and custom iron rails. Interested in an Outdoor Living Space? Contact Henderson Building Group at 704-201-1429 or send us an email. For more information go to the Outdoor Living Spaces page or Home Page.